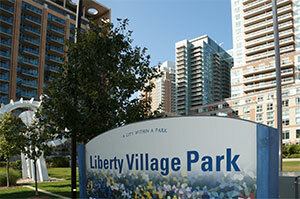 Liberty Village is one of Toronto’s oldest downtown neighbourhoods. 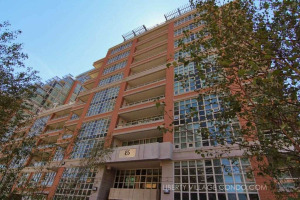 The name Liberty comes from Liberty Street the street on which prisoners first walked free when the Toronto Central Prison was closed and demolished in that location back in 1915. 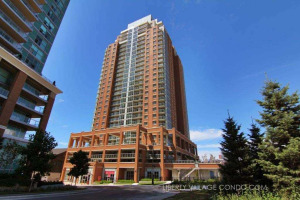 This historical neighbourhood has gone through many different transitional periods to become the residential hotspot and great place to live and work that it is today. 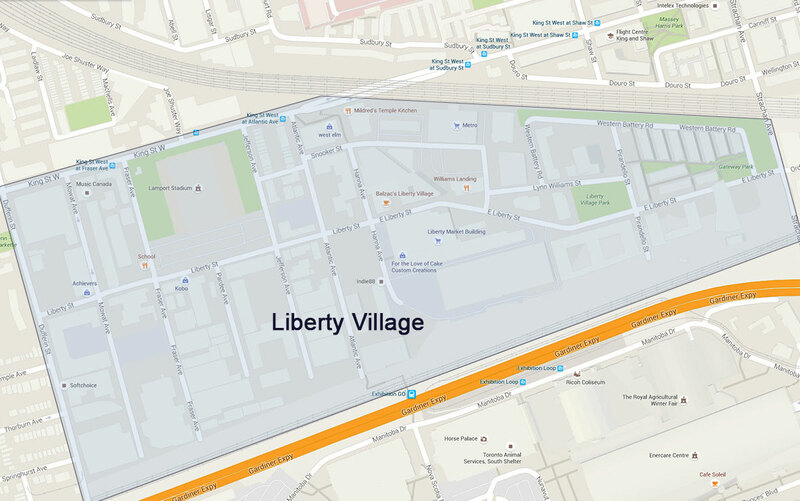 The boundaries for Liberty Village are King Street West on the north, Strachan Avenue to the east and Dufferin Street in the west, between the Parkdale and Fort York neighbourhoods. 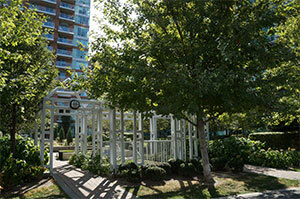 The CP railway tracks provide another border on the northeast and add to the neighbourhood’s historical significance (See map below). 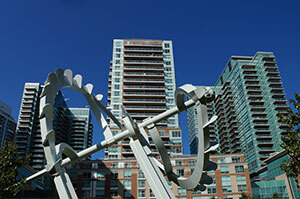 The nearby rail lines solidified Liberty Village as an industrial hub in early Toronto, with many different companies like Irwin Toy, Simmons Bedding and Canadian General Electric making their homes here. 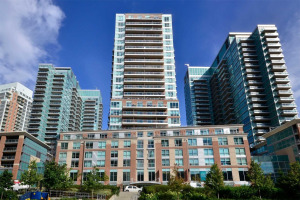 As rail shipping declined in the 1970s and 1980s, Liberty Village became very quiet and even neglected until it saw a huge resurgence in popularity and experienced heavy gentrification which transformed into what it is today. 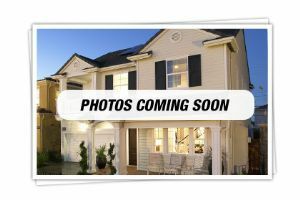 The first people to appreciate the neighbourhood were entrepreneurs who converted old brick factory buildings into work lofts for a variety of bootstrap and even internet businesses. 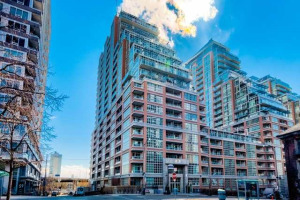 Now Liberty Village has become a hot residential area as well with a number of gorgeous authentic loft condo buildings serving as a throwback to its industrial origins. 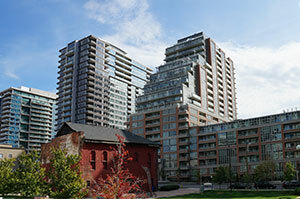 Liberty Village has become one of the most popular areas for condo buyers in the city. 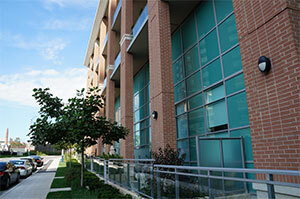 There are also offices here, as well as a number of hot restaurants, shops, gyms and galleries. 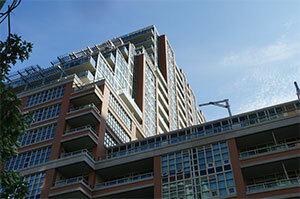 The office spaces tend to be concentrated in the west end, and condos in the east. 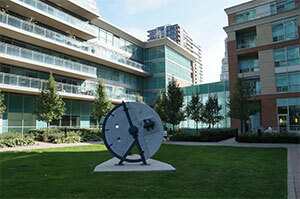 Life in Liberty Village means also means being nearby farmers markets, patios and food and drink festivals. 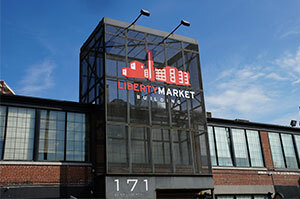 Since 2004, Liberty Village has experienced a tremendous amount of rapid condominium growth and is now considered a trendy place to live by young professionals as well as artists, who appreciate its proximity to all things necessary downtown, like the financial district and key gallery, fashion and entertainment districts via only a short walk or streetcar ride.